I will start with the bad. The Music Manager upload utility is Windows and Mac only. No direct GNU/Linux support! I will end up trying wine soon. If wine succeeds, I'll report back. Otherwise, I will need to add the Music Manager to my otherwise pristine gaming rig or bring up some Windows VM in order to upload. Update 6/15/2011! 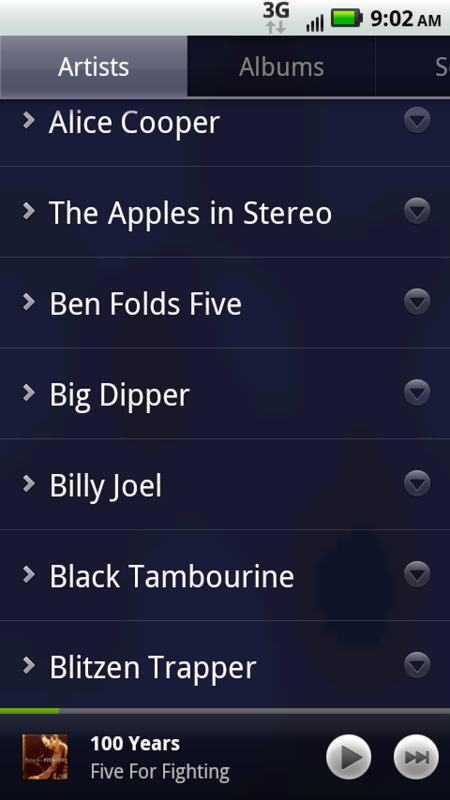 : There is a working modified MusicManager that will work with Wine 1.3.21 on Fedora 15. I *could* also get it to work with Wine 1.3.18 from rpmforge-testing under CentOS 5.6. I could not get Wine 1.3.7 under CentOS 5.6 to run MusicManager, however. Another bad, in my opinion is missing, "show lyrics" option. This kind of option is kinda lame for *GOOGLE* not to have. Don't they have an index on EVERYTHING?! A simple link out to a lyrics site the same way they handle the shopping would even be a good start. But some in browser option would be better. The web interface could use a range delete like the gmail webmail has. 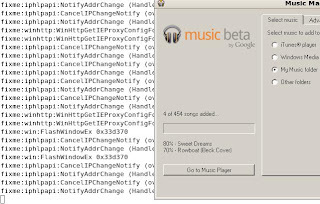 For example, if you add any "free" songs, you will be forced to individually remove each unwanted song. That is not a trivial task when you mistakenly added *several* groups of free music. In addition, "Recently added" should allow a date range or similar IMHO. I can't even figure out what recently means in this context. 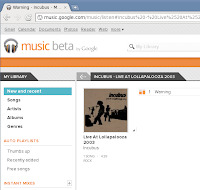 Now for the good news for GNU/Linux peeps: Google Music will work without issue under at least the CentOS 5.6 or Fedora 13 and Fedora 15 distributions using either FireFox 4 and Google's Chrome 12 browsers. Adobe Flash of some version is required, I have tested with 10.2.x and 10.3.x. If you use any flash-blocking add-on make sure to white list google.com. The Flashblock 1.5.14.2 I have on Fedora 15 with FireFox 4.0.1did block the flash, but did not show me a notice that it was blocking. 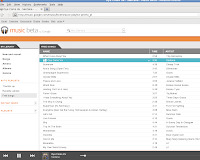 Browser controls are shown as simple player controls icons with shuffle and repeat options. In a normal Google fashion, there is not much fluff. Information presented on screen is basic, useful and utilitarian. This is a good thing in reality. If you think about, you should only visit the Google Music browser tab when you need to change something like a play list. It is very much a play and forget about browser tab. Free songs are optionally provided you when activate your account. The songs I have come across are largely live versions of known songs. That's not completely the case, of course, but songs offered are worth the cost. Please keep in mind that you are limited to only 20,000 songs at this time. Google has provided some basic Settings changes for the web version of the service. 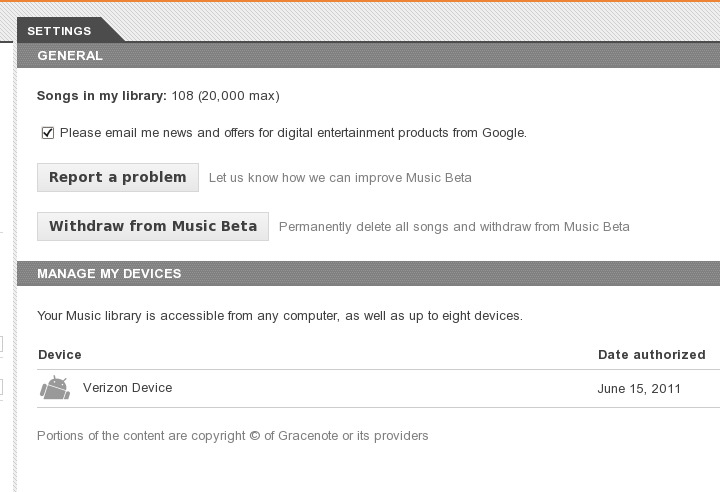 To their credit, you can opt of Google Music with the click of a mouse. You will loose all of the uploaded music of course, but you can do it. 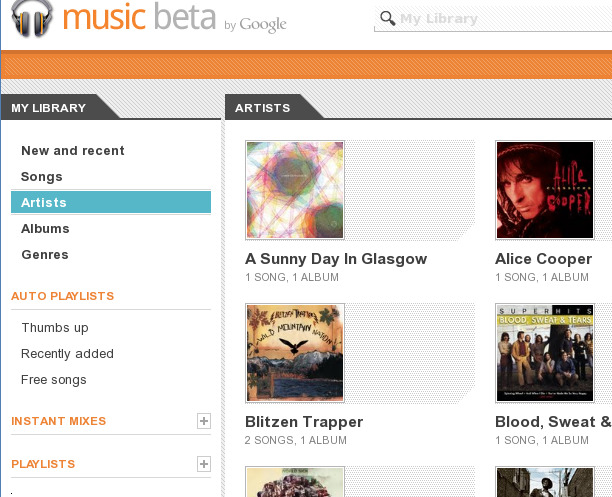 The same Settings page also displays registered devices to your Music account. Not much to look at here so move along. Missing from the options is any parental controls or music content rating. I believe this needs to be corrected soon. Google has provided a ranking system as simple thumbs up or down. This option could use some improvement. I would like to have seen something more like Netfix has with a global ranking and the option to put your own ranking. 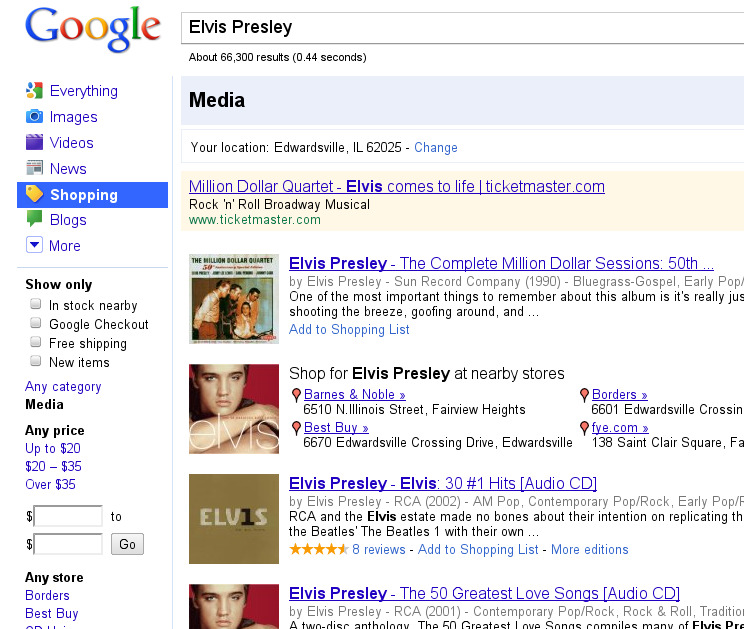 This would make finding and buying new good songs much easier. Speaking of buying, you are 2 clicks from shopping for any selected song. 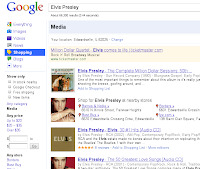 Not surprisingly, you are taken to the Google Shopping link for lots of buying choices. The buying options seem to drift quickly away from the starting song selected. Maybe that's good, maybe that's bad... I'm leaning towards bad - just slightly. It should be noted that Google is looking to cover their but if you look at the usage agreement you are required to accept. I understand why, of course. I also find it acceptable to be allowed to only have one active player at a time. Make sure to read the fine print. 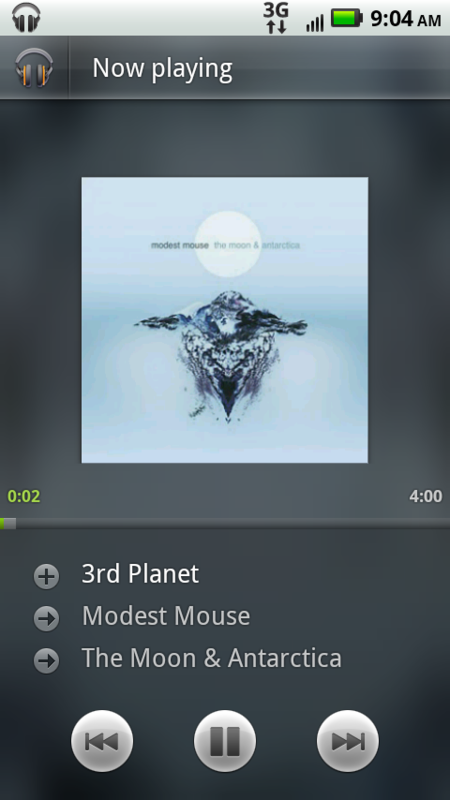 Beyond the browser usage, I also tested with my DroidX with Android 2.2.1 and the Google Music version v3.0.1.339. Newer versions may be better or worse... these are currently beta pieces after all. 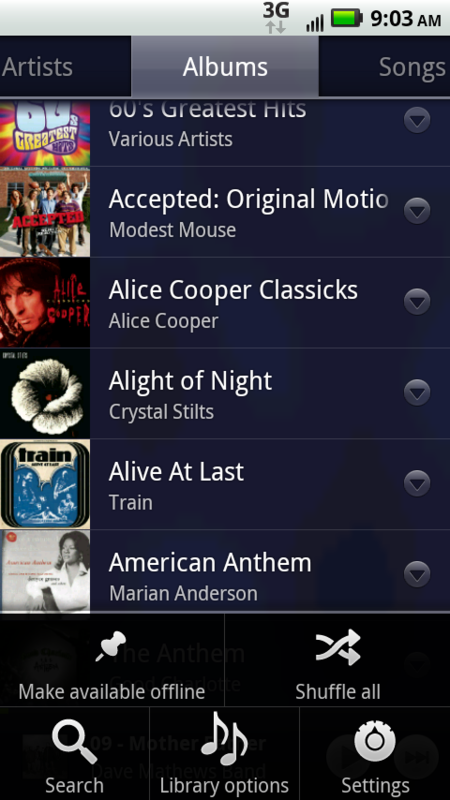 Once again, utilitarian is the operative word when speaking of the Music App for Android. It is simple in layout and has very little fluff. Cover art is not made prominent, for example. Player controls are obvious and basic. We all know what a play button looks like, right. Thought has been put into some of the back-end options. Specifically the cache and wifi options. I am very glad to see both. Heck anyone with anything but a truly unlimited data plan should be happy to see them. As you would expect, the cache option from the Music -> Settings option allows you to cache (keep a local copy) of the music you are streaming so you won't have too again any time soon. The wifi option allows allows for the ability to mandate that either streaming or downloading of music is done through the wifi connection. Heck that great in many ways. My home internet connection is WAY faster than the 3G I have and doesn't cost me any more. Nice going Google. The down side of utilitarian is the realization that you might be missing something. One of the some-things for me seems to be an on-screen volume control. Not critical by any stretch. After all, there is that up-down volume button on the side after all. 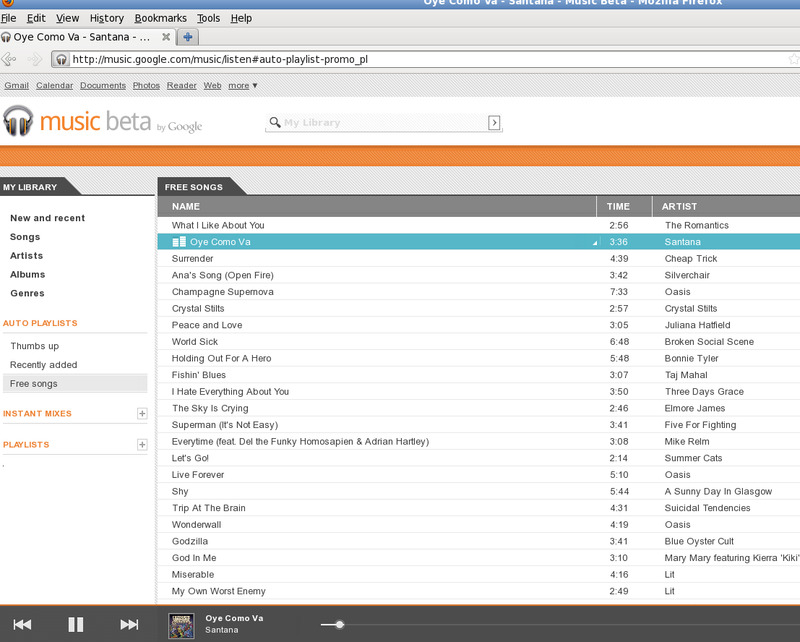 My overall belief is Google Music is a winner. With ease of use, flexible device connectivity and Google is behind it, many people will enjoy this service.